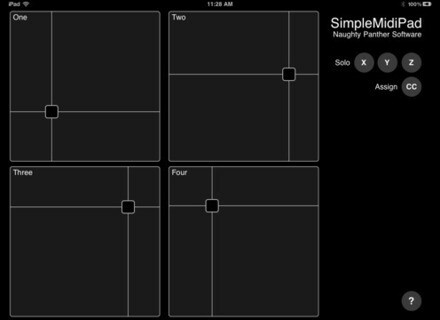 SimpleMidiPad, OSC / MIDI controller for iPhone / iPod Touch / iPad from Naughty Panther. Naughty Panther (Chris Randall from Audio Damage) has released SimpleMidiPad for iPad. SimpleMidiPad is a MIDI CC source for driving software or hardware synths and effects, and remote control of a DAW. Each of the four pads sends X, Y, and Z MIDI control messages, with user-selectable destination addresses. Note that SimpleMidiPad makes no sound of its own. It requires either a CoreMidi-compatible USB MIDI adaptor (via the Camera Connection Kit) or an OS X computer running the Network MIDI interface for WiFi usage. Best Service World Percussion Best Service has announced the release of World Percussion, a virtual instrument by Evolution Series.